Debt-free TMOM Kathy's kids enjoyed meeting Aurora. Disney character dining is a great way to have some extended time to meet with some of your favorite Disney characters, as well as get a great meal. Akerhus Royal Banquet Hall, located in the Norway Pavilion at Epcot, is a favorite of Texas Traveling Mom Jill and her family. If you’re interested in eating there on your next visit to Walt Disney World, here is the scoop! We like to do at least one special character dining experience every time we visit Walt Disney World. Yes, it’s a splurge, but something I think is worth budgeting for. Part of the magic and wonder of Disney for kids is meeting the characters…okay, it’s part of the magic and wonder for me, too. Lines to meet your favorite characters are usually long. You’re often standing in the hot sun (and it is nearly always hot in Central Florida) just to get a couple of minutes and a quick photo. While you can use one of your three FastPass+ choices for certain character meets, we like to save those for the newest or most popular rides. Our big three choices at Epcot are Test Track, Soarin’ Around the World, and of course, Frozen Ever After. If your kids are like my kids, they loooooove the movie Frozen. And it’s not just little girls that love this movie. My two boys have been belting out the tunes and giving Anna and Elsa a run for their Kroner since they were three-years-old. But don’t tell them I said so. Where is Akershus Royal Banquet Hall? In Epcot! Akershus is located right outside of the Frozen Ever After attraction and near the Stave Church Gallery where you can learn about how the filmmakers of Frozen were inspired by the culture and beauty of Norway. But, back to the grub because that’s why you’re here, right? …and yes, you need them, not just for Akershus Royal Banquet Hall but for any Disney Character Dining, inside or outside the parks. If you’re staying at a Walt Disney World Resort Hotel you can book your dining up to 180 days in advance of your visit. I know you might not be thinking about where you’re going to eat at Disney World six months from now, but trust me: you need to plan ahead for this or you’re unlikely to get the dining reservation you want. If you can’t get the dining reservation you want at the time you want, keep checking the app…and yes, you need the app for lots of reasons. If you like to really push the envelope, you can check right up until the time you want to eat. While I always advise planning as far in advance as you can, you can often get lucky because other guests will cancel. If all else fails, you can walk up and ask if there is space available. We actually did this the first time we ate at Akershus Royal Banquet Hall and we were walked right in. Not only that, but the place was only half full…so sometimes the app isn’t 100 percent accurate. Just be prepared for a polite “no,” so if your little ones are going to be crushed to be turned away, trying to the walk-in route might not work so well for you. If you are lucky enough to get a reservation, MAKE SURE you’re not late. I recommend arriving 15 minutes early, just to be on the safe side. Disney can charge you for your meal if you don’t show, so make sure you’re really fitting your dining into your plans at Disney that day. Which Disney Characters Will You Meet? 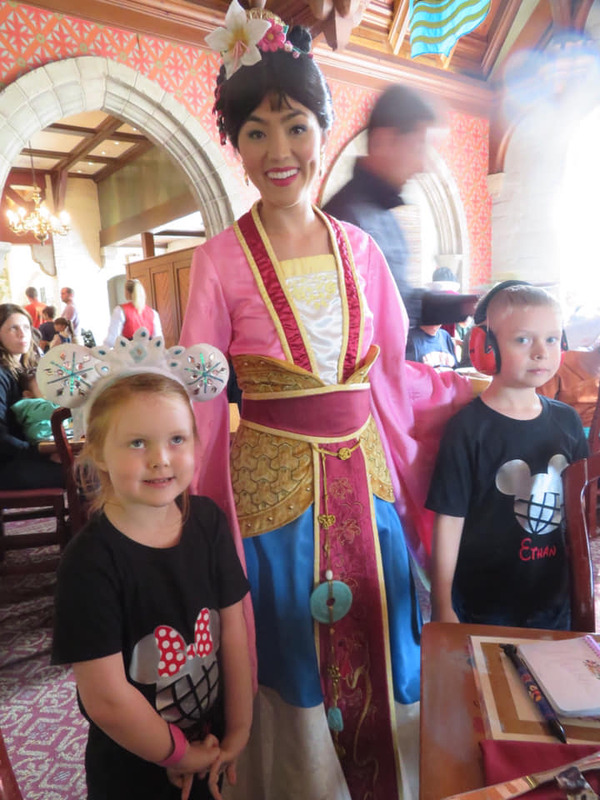 When you begin your dining experience, you’ll be directed to a special meet and greet area set up for pictures with a princess. You won’t be able to see WHO until you step behind the wall. It was Belle on both of our visits and other guests have reported this as well, so I feel safe in saying it’s always Belle. My kids asked her, “Where’s the Beast?” and she was very quick on her feet in answering that he was over at his castle in the Magic Kingdom. You should not expect to see Beast at Akershus, although you really never know. Disney has a way of surprising us. The rest of the princesses – Aurora, Cinderalla, Snow White, and Jasmine – made their way around each table to take pictures and sign autographs. All the princesses were amazingly in character and, since the restaurant wasn’t too busy, they spent a great amount of time chatting with my kids. It was super cute. There was also a Princess Processional around the restaurant that the kids were encouraged to join in on. That was a nice touch and the kids were loving it. Not gonna lie…I wanted to join in the Princess Processional, too. From what I have been able to learn, the princesses are pretty consistent, although I have heard of Mulan being present on occasion. If your kids have their heart set on a particular character, you may want to prepare them for that character not being present. And, you will NOT see Anna or Elsa. If you’d like to meet these famous sisters in person, they have a separate area for character meet and greets in the Norway Pavilion. What Kind of Food Will You Eat at Akershush Royal Banquet Hall? 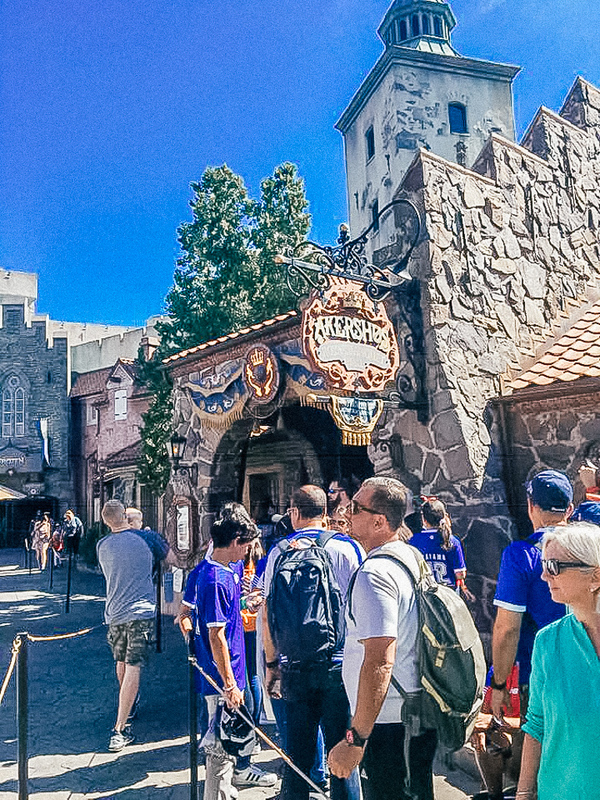 Akershus Royal Banquet Hall offers breakfast, lunch and dinner, depending on what time you visit. This dining venue is a combination of buffet and table service. 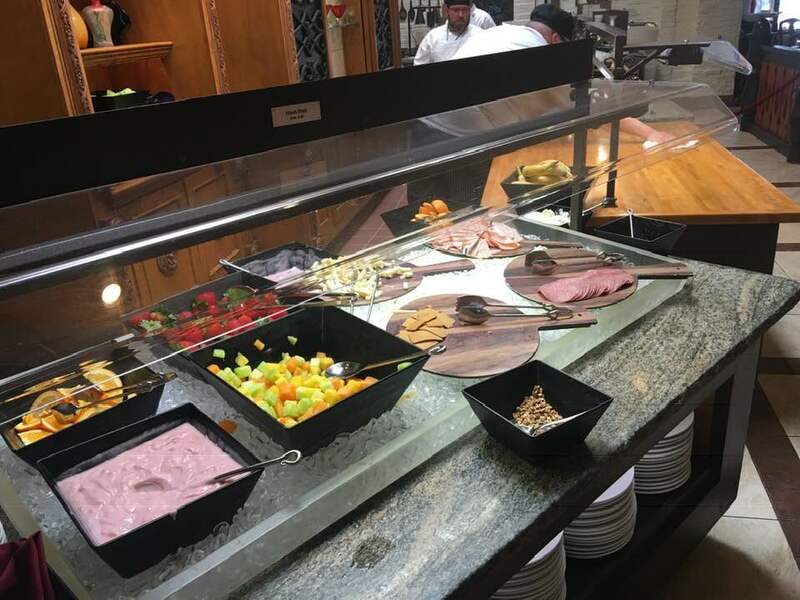 The appetizer buffet features Scandinavian seafood, imported cheeses and cured and sliced meats, salads, and fresh fruit. 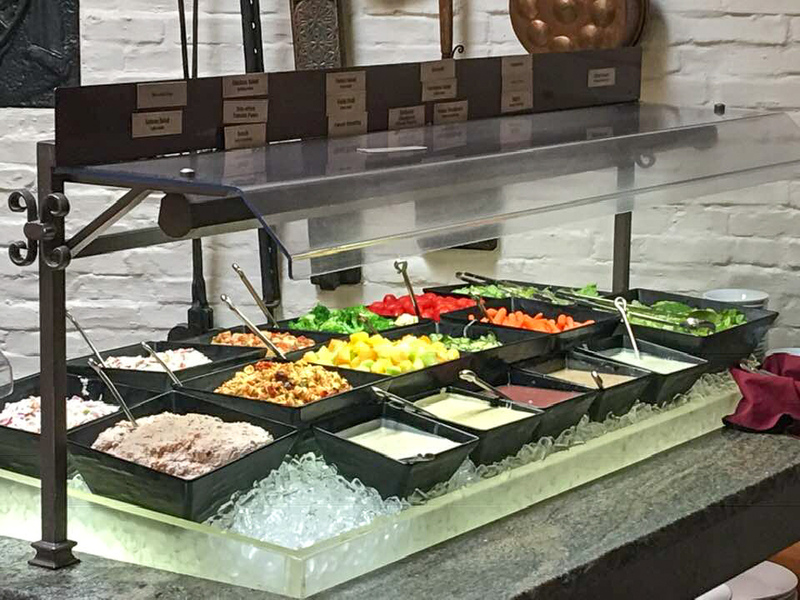 Your lunch and dinner buffet offerings will look different than your breakfast offerings. The buffet at breakfast time offers fruit. yogurt and more. 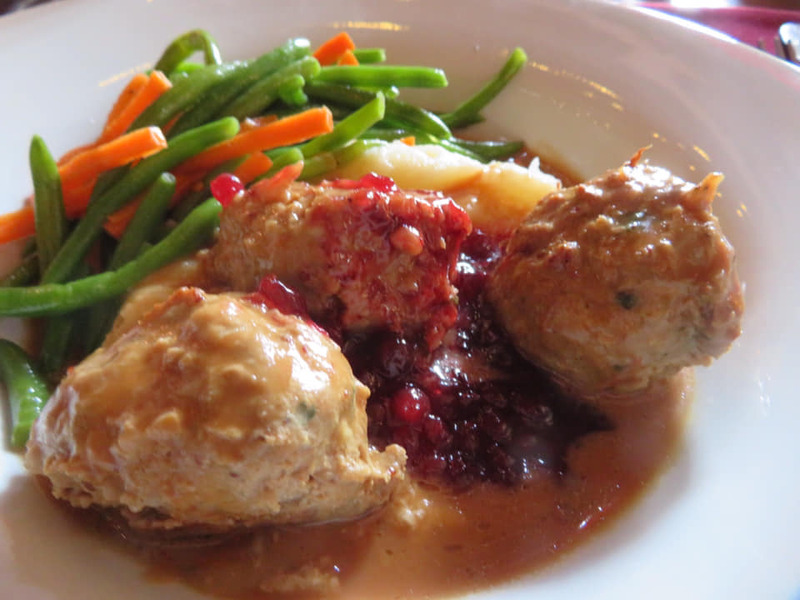 Photo credit: Jill Robbins, Texas TravelingMomYou’ll find traditional Scandinavian dishes in your main course, such as Norwegian meatballs, mashed potatoes and Lingonberry sauce, plus a few more American choices like oven-roasted chicken or grilled pork chop with a Norwegian twist. I’ve heard the house-made butternut squash ravioli is a must-try. You will not go hungry at Akershus Royal Banquet Hall. 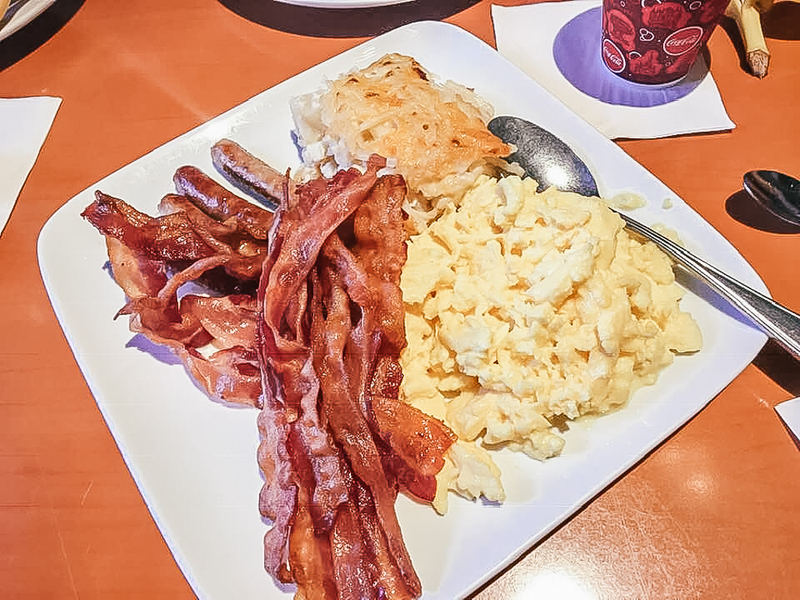 If you eat at Akershus Royal Banquet Hall during breakfast, your main dish will be sausages, eggs, bacon and potato casserole. You can get more detail on the current menu option here, as things are subject to change. Our family doesn’t have to worry about any dietary restrictions but Disney is famously awesome when it comes to accommodating allergies and special diets. 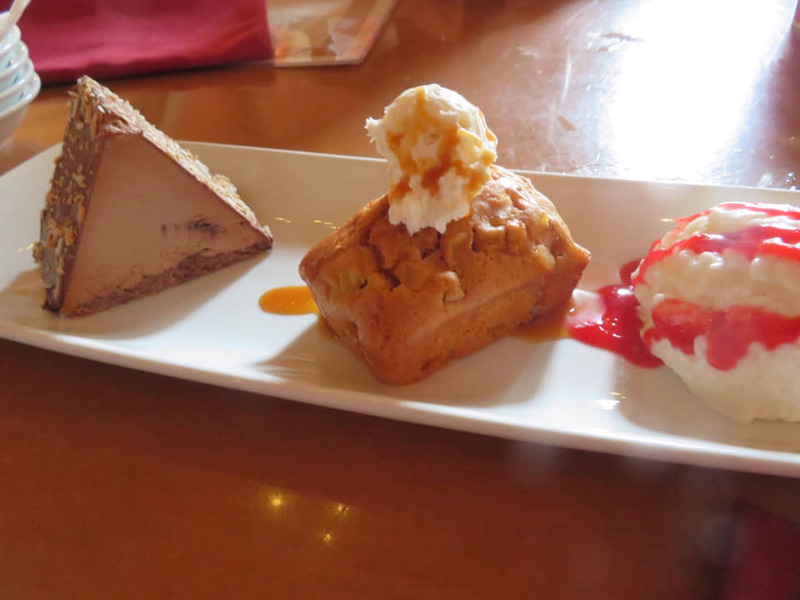 Desserts are served family-style. Specialty drinks and cocktails are available for an additional charge. What Does It Cost to Eat at Akershush Royal Banquet Hall? You will probably be disappointed if you are looking for exceptional value. It is expensive to eat here. Adult meals will run at least $60. Some dining plans are accepted. The atmosphere is fun, the character interactions cannot be beat and the food is good. In my opinion it is not $60.00 good, but when you roll it in to one experience…well, that’s your call on whether it is worth the spend. When you factor in tax, gratuity, and any specialty drinks, you’re looking at well over $200 for a family of four. 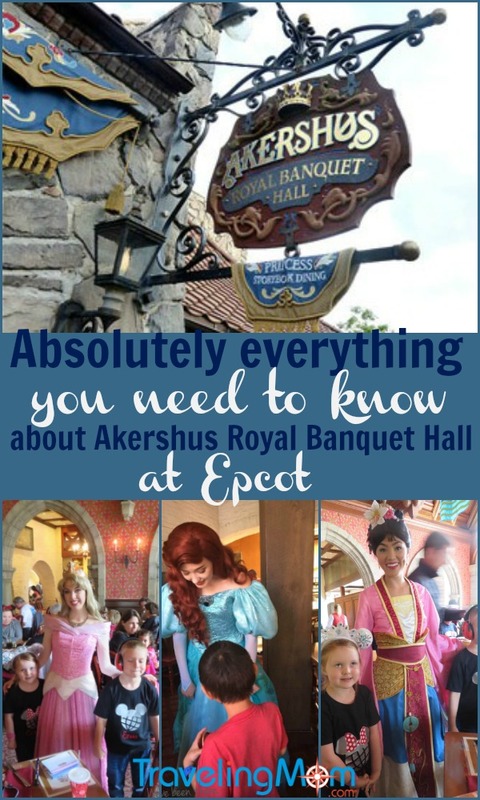 Do I regret our experience at Akershus Royal Banquet Hall? Not one bit. 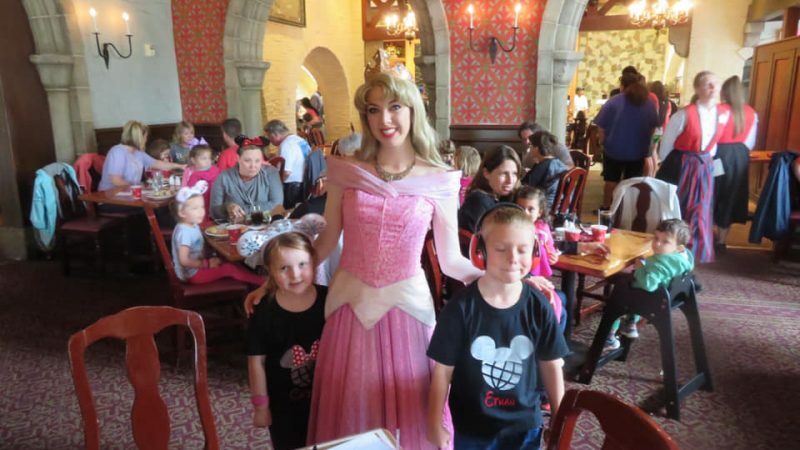 It is a very memorable dining experience, as all Disney Character Dining is, and if your kiddos crave that extended interaction with the princesses, then this might be a great splurge for you. We had fun and made great family memories, which is what’s really important. If you’re looking for quick service dining options versus a table service meal, check out this resource. Bottom line: Go for the experience and to fill your bellies in a fun, festive atmosphere. To read more about my very favorite Disney Character Dining Experience, The Bon Voyage Adventure Breakfast at Trattoria al Forno, click here. If you get hungry before dinner, check out these great snack ideas at Epcot!